Lorraine is a certified professional trainer and mentor. As Head of New Business Development at The Entrepreneurs Academy, Lorraine engages with industry sectors to determine Industry specific training requirements for Micro-Enterprises to enable businesses to both start-up and to grow strategically. Lorraine successfully founded and managed a textile design and printing company for 10 years. Her 20 years’ experience in the entrepreneurial field equips her to provide support, guidance, mentoring and training around most issues entrepreneurs are facing within their chosen industry. Lorraine has been appointed by the European Commission as a Mentor and member of the European Network of Mentors for Female Entrepreneurs. She has been on the Design and Crafts Council of Ireland education panel for over 17 years providing training and mentoring to creative sector businesses nationwide. She has Lectured at the National College of Art and Design, Institute of Art Design and Technology, International Craft Seminar (Bilbao, Spain), Ballyfermot College of Further Education (Textile diploma Business Planning module), and The University of Ulster and UCG. Lorraine holds a BDES honours degree in Printed Textile Design (1st class) National College of Art and Design, and an MA Professional Design Practice (1st class) from Dublin Institute of Technology. 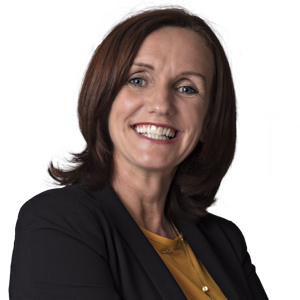 She also completed a full-time business and design skills training programme with the Crafts Council of Ireland (1993-1994) and the Enterprise Development Programme in Dublin Institute of Technology (1998-1999).